Sports Car Illustrated has a good article the covers all facets of the MINI JCW Team’s first Daytona outing. In the weeks before the first race of the year, every team’s optimism runs at maximum rpms. The MINI JCW Team had plenty of reasons for optimism about their chances in the 2016 version of the Continental Tire SportsCar Challenge, but the overriding unknown was Daytona International Speedway (DIS) itself. 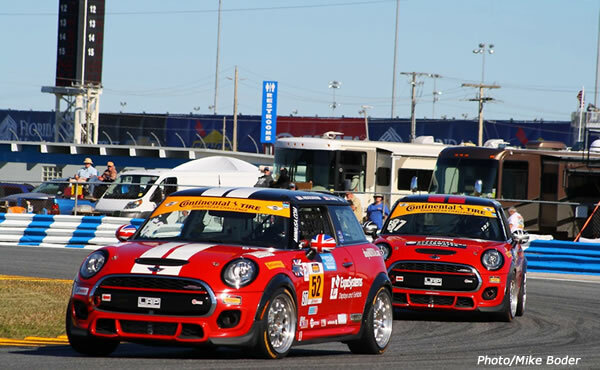 The MINI JCW Team got a late start to last season and did not compete at DIS in 2015. The formidable high banking and the twisty bits in the infield section would be entirely new to them. To read the full article written by Bruce Troxell click here.